﻿ Fort Meigs - Ohio. Find It Here. United States and British soldiers as well as Woodland Indians recreate historic battles in commemoration of the 203rd anniversary of the First Siege of Fort Meigs. 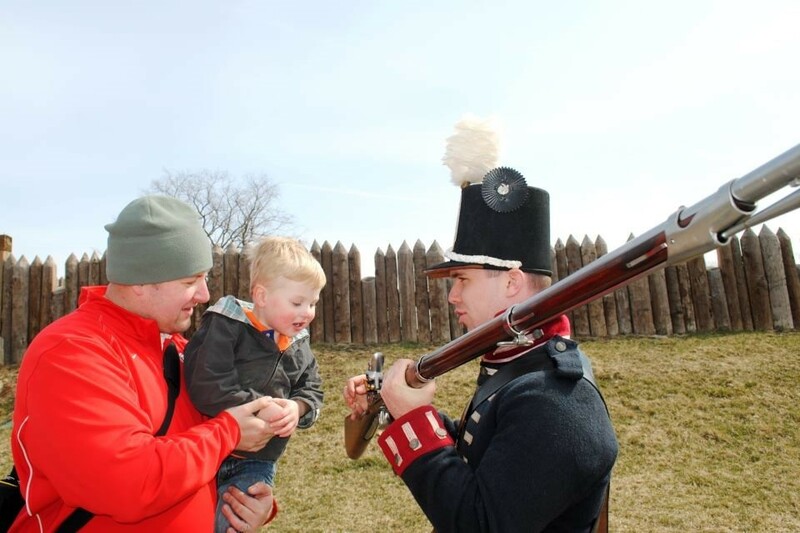 See the battles, musket and artillery demonstrations, and camp life demonstrations.As April 29, 1813 dawned, the soldiers at Fort Meigs had been surrounded for two days by British forces and their Native American allies. This was a defining moment in the history of our state and nation. The First Siege of Fort Meigs would help turn the tide of war and usher in a series of American victories that would secure the Ohio frontier. General William Henry Harrison wrote that day, "It is at length reduced to certainty that the enemy are about to carry into effect their threatened attack on this post" and urged his men "To your posts then, fellow Soldiers, and remember that the eyes of your Country are upon you!